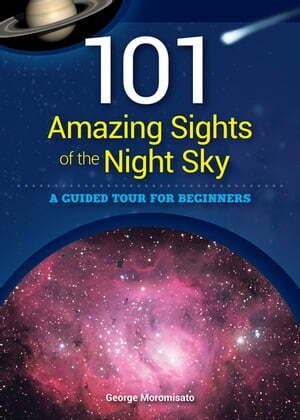 Collins Booksellers - 101 Amazing Sights of the Night Sky by George Moromisato, 9781591936848. Buy this book online. Is there anything more wondrous and alluring than the night sky? You've seen the stars, and you know about the constellations--but there's so much more to discover! George Moromisato's magnificent full-color guide introduces you to 101 amazing sights, from Saturn's famous rings to the Andromeda Galaxy. Learn what to look for and when and where to find it! This astronomy book is perfect for beginners, so many objects can be seen with the unaided eye or binoculars, while others simply require a small telescope.